A Unique Keys DIY Handprint Can Lead To Good Hygiene! A Unique Keys DIY Way To Show How Your Childs Handprint Can Lead To Good Hygiene! This is actually a great science project for kids to learn about bacteria in their environment. 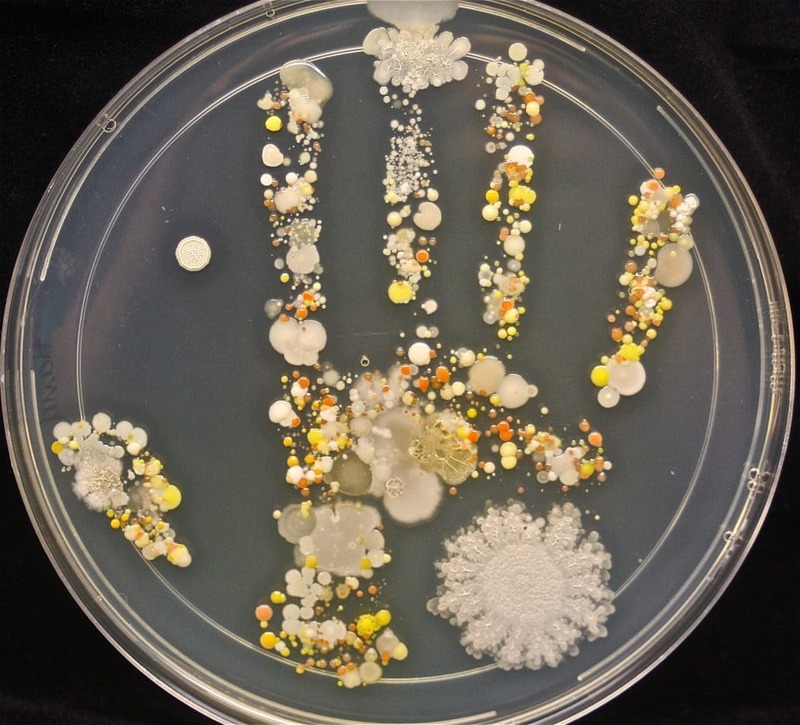 Tasha Sturm at Cabrillo College posted this image on MicrobeWorld and I happened to see it. Basically, Tasha took a sterile dinner plate and poured TSA (Tryptic Soy Agar) into it. She then took her eight year old childs hand and pressed in onto the TSA. She then let it culture. I do not know for sure why she did this, but it impressed me that it was a great lesson for all of us why hand hygiene is so important. Okay, here is the adult lesson we should learn from this. The reason we do not use a bactericide like triclosan or parabens in our products is because this good bacteria keeps in check the bad bacteria like staph, MRSA etc. If you kill off the good bacteria, science has shown that the bad comes back first. Because the good returns fairly quickly, we often see redness and inflammation after people use hand sanitizes in stores and ones that they personally carry. The redness disappears in a few days after the good bacteria has reclaimed its territory. So, if you ever wondered why you should not use bactericide based hand sanitizers, here is the reason. Our Galleyon uses a Castile base with Lakota Sioux spearmint essential oil to reduce overall bacteria levels without killing it. Equally reducing bacteria levels also permits the good bacteria to ward off some viruses where totally eliminating bacteria offers a easy to invade environment. We have about 10 times more bacteria on our skin than we have skin cells. This friendly bacteria helps to protect our largest organ, the skin. International agencies recognize that there are two forms of antibacterial properties. A bactericide kills all bacteria indiscriminately and washing with soaps reduces bacteria significantly without killing it. In other words, washing maintains the balance of good bacteria leading to proper hygiene. Triclosan (antibacterial hand soap chemical) is like a nuclear weapon to both good and bad bacteria. It is not a good thing. This is really a big deal. 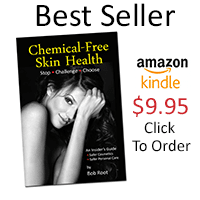 In my book, Chemical Free Skin Health®, the original draft had a paragraph about Triclosan. By the time it was finished, I dedicated an entire chapter to how destructive Triclosan is to the skin. So the moral of the story is, it is good to be clean, but not too clean. You can Click Here to read an article I wrote a couple of years ago in association with our alliance to the Human Microbiome Project at the National Institutes of Health. It is a not so nice story of a boy who was so void of bacteria that his skin, head-to-toe was in total disarray. His pain was a wakeup call for many. So, thanks to Tasha for such an interesting experiment to teach her child and us about bacteria in our environment. So, as a Keys DIY, you can try this at home. It is a great lesson to sound and old.